Note: Delivery for this item is set @ £5.99 for standard service. Option with cover is currently not available. 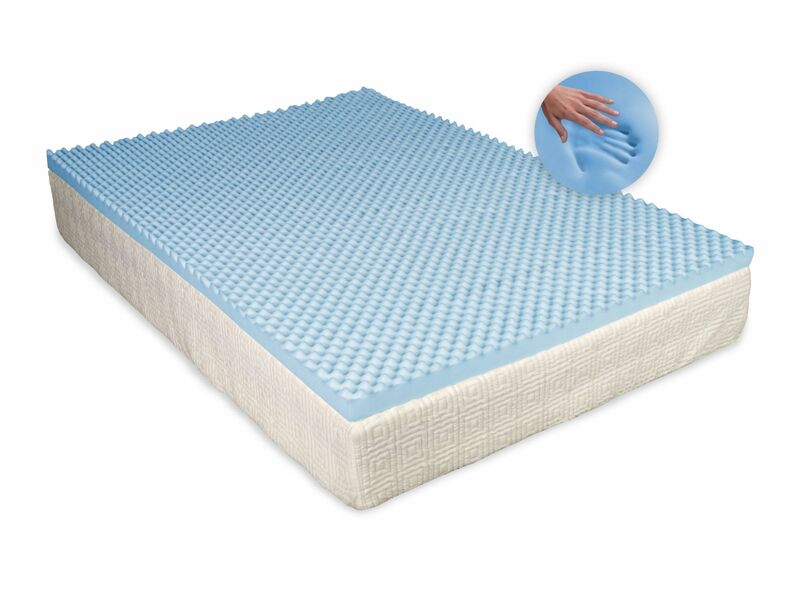 Add more support and comfort to your existing mattress with a CoolBlue Memory foam topper. An egg profiled foam mattress topper can help ensure a good night’s sleep. Also called convoluted foam, these mattress toppers are covered in egg-shaped bumps that provide a soft sleeping surface that promotes air circulation. The foam’s peak-and-valley design can improve blood flow by decreasing pressure on the skin, especially at pressure points such as hips and shoulders. The difference between these toppers and ordinary toppers is the revolutionary and innovative design. This design has gone through vast development and testing to introduce a new approach to memory foam, offering you a greater surface area and more breathing pockets along the top.